Our team is available to assist your project with fall protection, fall restraint, rigging, and rope access needs including training, inspection, maintenance, and survey and construciton support. Our work-at-height training program includes courses specific to four different work environments including towers, buildings/structures, cliffsides, and the realm of trees. For active duty military, we also offer comprehensive vertical training and tactical leader training . The best place in Hawaii for all of your climbing, work-at-height, mountaineering, and steep trail hiking needs. 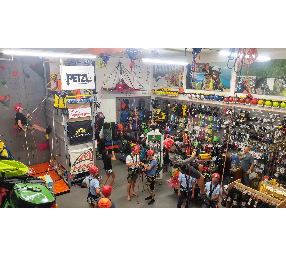 Admittedly, we're a bunch of gear-nerds, excited to help you climb higher with the largest assemblage of rock climbing, arborist, and fall protection-related equipment in the entire Pacific region. Thousands of products await your perusal, and customers are always welcome to test gear in our unique, integrated, indoor training center with fixed lines, towers, and rappel structure. Ready to safely embark into the realm of rock climbing and steep trail hiking in islands? Our recreational training program is perfect for all levels from beginners to experienced climbers and hikers. Our program covers essential rope skills and rescue techniques you should know to be self-sufficient, doubt-free, and confident about safe recreation in Hawaii's mountains and canyons. 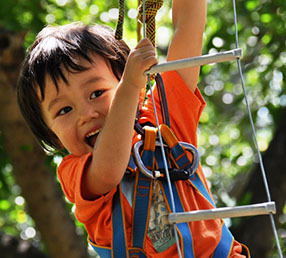 We also offer events specific to children and teens including tree climbing and team building. Climb Aloha exists to ensure you're climbing safely in the islands, whether it's on a building, cell tower, monkeypod, or on the rocks. 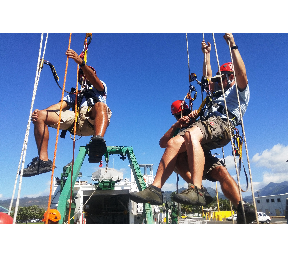 We offer professional fall protection training, rope access support services, and Hawaii's only recreational training program. Since our humble start in 1999, we have continued to give back to the community by using store profits to purchase titanium bolts, steel chains, and quicklinks to foster new development and maintain existing routes in the islands. Climb on! This is a great introduction for someone who has no climbing experience, you will learn a ton and be rappelling and climbing before you know it. Excellent. As far as I know, this is THE climbing gear resource in Hawaii, for beginners and professionals. Wonderful people, wonderful store. They were so helpful in getting me and my friend into the right gear. After a long hiatus, we're restarting our recreational training program! Please email shop@climbaloha.com or call (808) 383-2872 for more info or to get on the upcoming training schedule. Mahalos!